The fact that they are readily available and widely-distributed helps, too. Throughout the years my continued patronage should speak volumes considering my penchant for top quality at the lowest price possible. 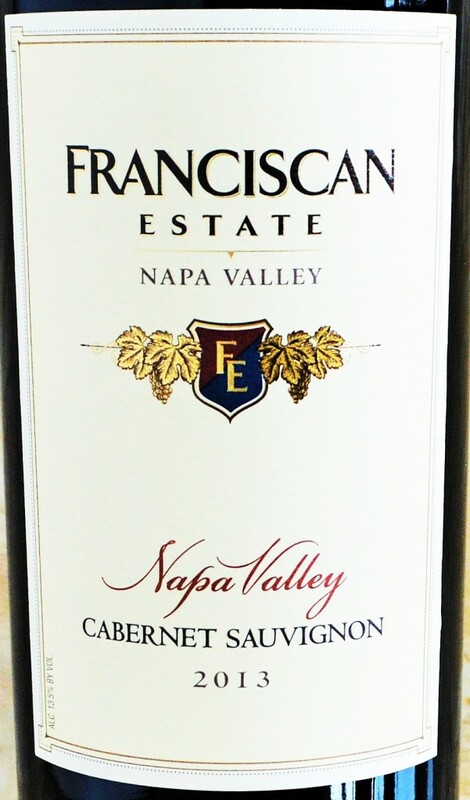 In my experiences, picking up a bottle of Franciscan Estate Cabernet Sauvignon consistently meant I was getting a classic expression of Napa Cabernet, with structure and depth belying its modest price, accompanied by a long, pleasantly dry finish. 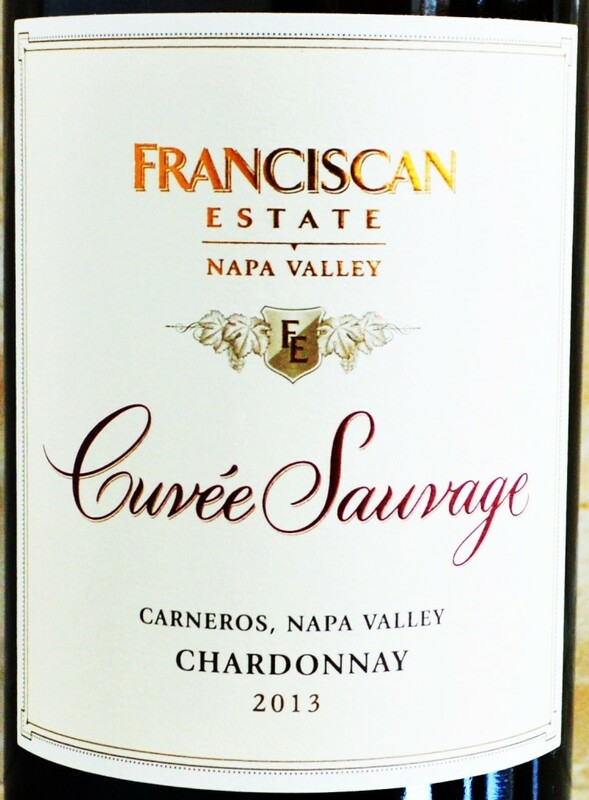 Franciscan Estate Cuvee Sauvage Chardonnay 2013: Produced from 100% Chardonnay from Carneros and barrel fermented with native yeasts before aging for 14 months in 100% French oak (94% new). Pours a medium, slightly golden yellow color. There are aromas of crème brûlée and roasted hazelnut underscored by pear and lemon peel. In the mouth, the Cuvee Sauvage is medium to full-bodied and surprisingly lithe as it reveals a generous core of crème brûlée and roasted hazenut interlaced with spiced apples, pears and lemon rind. Wonderfully balanced with just the right amount of lifting acidity, it beautifully marries purity with richness. Franciscan Estate Cabernet Sauvignon Napa Valley 2013: Produced from 83% Cabernet Sauvignon, 10% Merlot, 3% Malbec, 3% Petit Verdot and 1% Syrah and aged 20 months in 20% new oak barrels. In the glass it is nearly opaque at its core, transitioning to a deep garnet red at the rim. The nose reveals aromas of black currant and plum interlaced with green olive, fresh cut tobacco and spice. Medium to full-bodied, there are rich flavors of black currant and plums enveloped in a core of dusty cocoa powder along with hints of cedar and spice. Stylish yet still quite compact, the lengthy finish is dry and grippy. Undeniably one of the finest values in Napa Cabernet. 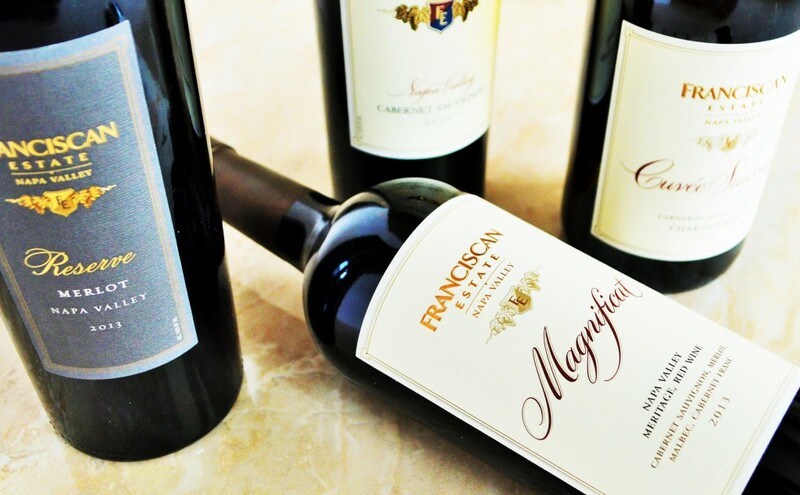 Franciscan Estate Reserve Merlot Napa Valley 2013: At a time when Merlot is still suffering somewhat from the “Sideways Effect”, Franciscan Estate is making a bold move with this first-ever Reserve Merlot release. Produced from 93% Merlot, 6% Syrah and 1% Cabernet Sauvignon and aged 20 months in 20% new oak barrels. Pours a deep garnet red that’s just barely translucent at its core. On the nose aromas of black plum, cherry and black raspberry are laced with roasted coffee, cedar and vanilla. In the mouth, this bold, full-bodied expression of Merlot delivers the opulent fruit you want in a Merlot, with the structure that’s often missing. The fleshy core reveals layers of black raspberry, cherry, baked plum and fig flavors framed by vanilla and roasted coffee. On the finish, grippy drying tannins suggest this needs some bottle age to show its best. 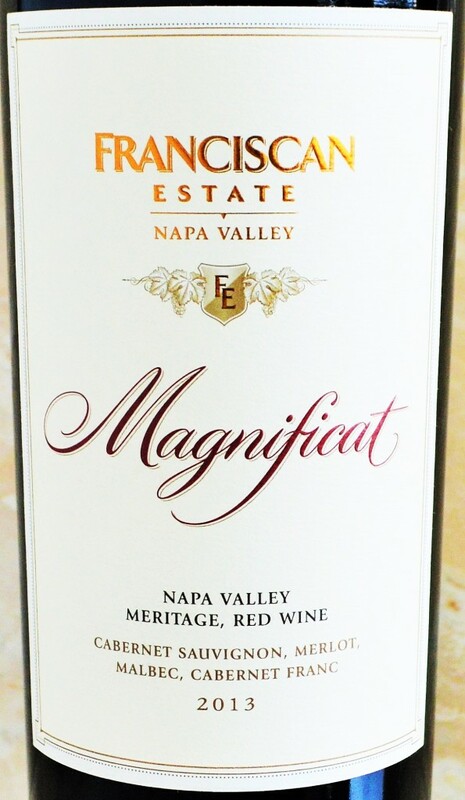 Franciscan Estate Magnificat Napa Valley 2013: Introduced in 1985, Magnificat was one of the first Meritage wines in Napa Valley. As the finest offering in Franciscan’s portfolio that’s meticulously blended from over 200 lots, it seeks to be as harmonious as the masterpiece by J.S. Bach for which it was named. It pours a deep, vivid garnet red. The nose reveals pure aromas of black cherry, cassis and plum underscored by anise and charcoal. In the mouth, the Franciscan Magnificat is medium to full-bodied with incredible depth, focus and finesse to its core of black cherry, cassis and plum. The gorgeous, rich fruit is further nuanced by coffee and licorice along with subtle spice and charcoal notes. The lengthy finish is bolstered by fine, powdery tannin. This is a classy, harmonious effort with the fruit to satisfy new-world fans and the structure and finesse to cause the old-world die hards to question their loyalties. Not surprisingly, this ethos of richness and depth combined with an old-world structure and sophistication isn’t limited to just their Cabernet Sauvignon, that language permeates throughout their entire under-appreciated and often overlooked reserve-level portfolio. The 2013 Franciscan Cuvee Sauvage and Magnificat are nothing short of magnificent, as harmonious as intended with stunning purity and texture. These compelling Franciscan Estate offerings wines will be on my future radar not just for Tuesday nights wine, but for Saturday nights wine as well. Franciscan Estate’s incredibly knowledgeable Assistant Winemaker Jay Turnipseed summarized it best… “To summarize Franciscan: History, Heritage and Value”. These wines deserve your attention. Winemaking: Director of Winemaking Janet Myers is assisted by Jay Turnipseed and Marla Carroll. Appointment Required? No reservations are required for the Classic Tasting, but reservations are recommended for the Reserve Tasting. Click here to book and for more in-depth tasting options. Time to Allot: Approximately 45 minutes. Should You Go? It would be a mistake to overlook Franciscan Estate. Their consistency in delivering wines of substance and sophistication at affordable prices is impressive, and the 2013 vintage was no exception. 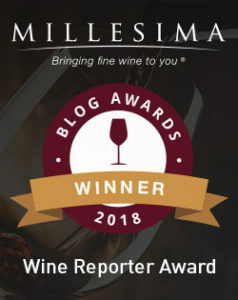 Personally, I can’t wait to see what they’ve done with the 2014 vintage! For more information about Franciscan Estate Winery, click here. **Wines provided as samples for purposes of review. No payment was received for writing this article.